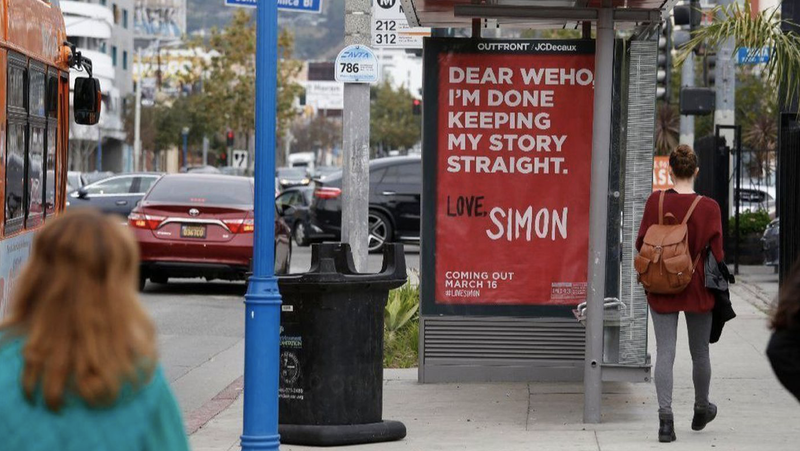 Love, Simon is something of a first; a major Hollywood studio production that does not diminish or ignore the fact that it’s essentially a gay teen love story in its marketing materials. Just look at the cheeky billboards erected in LA to promote the movie. 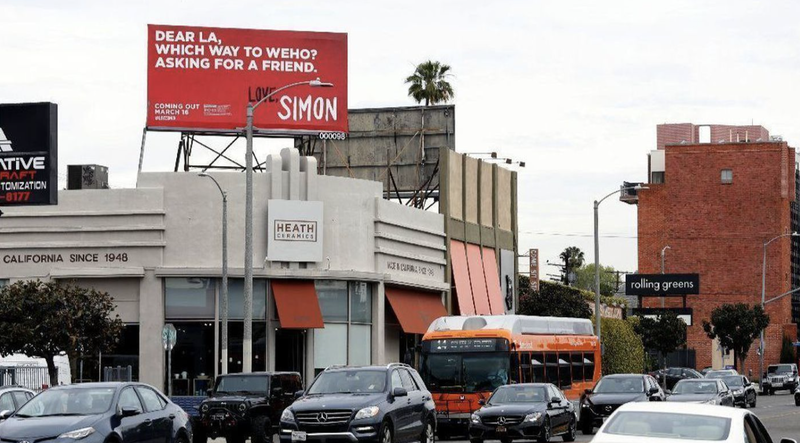 We-ho – West Hollywood – is obviously the city’s main gay district. In New York, signs proclaim, “If I can come out here, I can come out anywhere.” Ads in the nation’s capital say, “Dear DC, You seem confused. Good thing I’m not.” Other cities with tailored messages include Chicago, Philadelphia, San Francisco, San Diego, Boston and Dallas. LA Times reports that Fox also created a postcard generator that allows users to create their own “Dear [blank]” graphics. The film’s official Twitter account used it to send words of encouragement to openly gay Olympians Gus Kenworthy and Adam Rippon. PS also check out the Dasani Water product placement in the top image.